I am so excited to share with you this AWE inspiring event, yes it is that GOOD!! For all the amazing Mamas out there, this is the event for you. What FABULOUS event you ask? Why it’s only Leading Moms: Inspirational talks by Extraordinary Moms. The talks will range from media and health to arts and business. Leading Moms will be a half-day event taking place at the Telus World of Science in Vancouver on September 26th. I had the opportunity to attend this incredible event last year thanks to my friend Bianca of the blog "Bits of Bee" who invited me. I can't even begin to tell you how inspired and moved I felt listening to these amazing Mom's share their life stories. Christine Magee of Sleep Country Canada and Kelsey Ramsden of Spark play really flipped the on switch for me. “Bing” a light went on in my head and I knew after listening to them, no matter what my dream was, I could obtain it. At the very least, it would be a ball trying. Here is a little montage from last year's event. Christine Magee talking about her daughter running up to her when she walks through the door resignates with me. It really isn't about ALL your accomplishments. 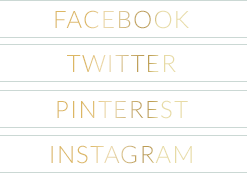 2014 Leading Moms Event will leave you ready to start living your BEST life. This year’s event boasts a fantastic speaker line-up, including award-winning broadcaster, Tamara Taggart and Founder of Cause We Care, Andrea Thomas Hill. 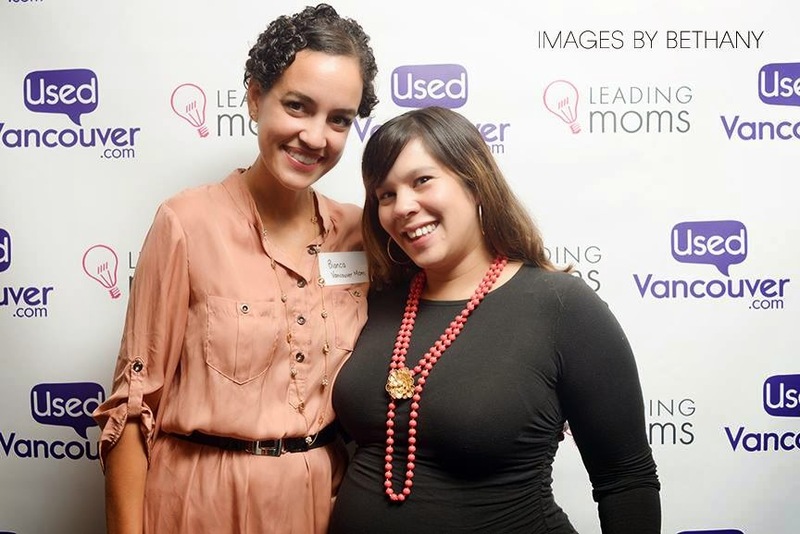 Check out all the inspiring ladies that will be speaking at Leading Moms. Ticket holders can register for complimentary childcare, courtesy of Kids and Company. This alone should have you taking part in this event!! A new addition to the event this year is the Leading Mom Award which aims to acknowledge everyday moms who are making an impact locally, nationally, or globally. Grand prize is a weekend at premier resort, Painted Boat Resort Spa & Marina. 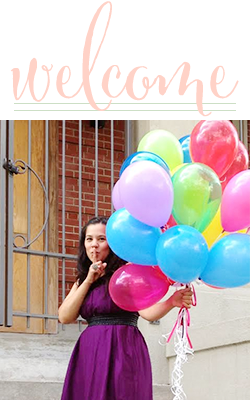 Please join me at Leading Moms, you will be so happy that you did! 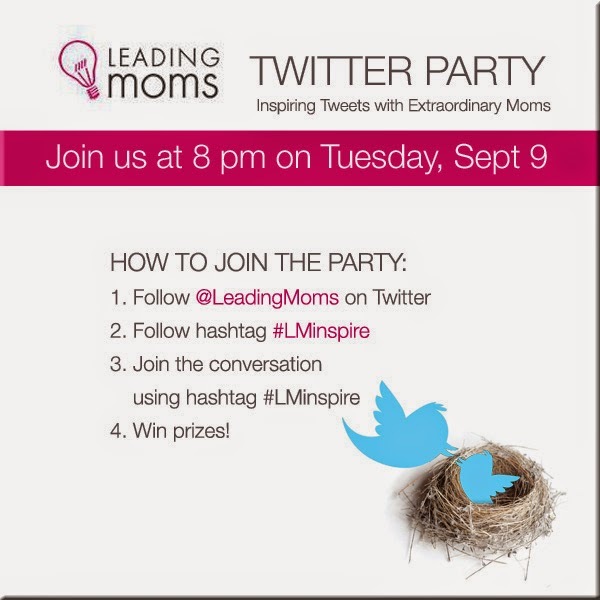 Also if you are like me and cannot wait until the 26th, Leading Moms is hosting a Twitter Party on September 9th at 8pm. I have included the deets below. You don't wanna miss out on this party! !